All Brite Cleaning & Restoration is dedicated to helping you in your time of need when disaster strikes. That is why we provided the following disaster restoration services. Our technicians can restore your fire, water, or mold damaged items. Learn more about our process here. When a fire or smoke damages your home All Brite is available for immediate cleanup and restoration. Learn more about our fire & smoke damage process here. Water damage can strike at any moment that is why All Brite offers 24-hour emergency water damage cleanup services. Learn more about our process here. Think you have mold in your home or business? Learn more about our mold inspection and mold removal processes. We highly recommend you call in professionals when a sewage damage disaster occurs. Don’t risk your health! Learn more about our sewage damage cleanup process. 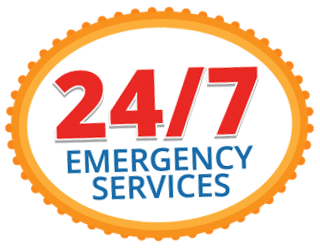 Our property damage restoration team is available 24 hours a day, 7 days a week, 365 days a year to help you recover from any fire, water, mold, or storm damage disaster. Take care of all your disaster restoration needs with All Brite Cleaning & Restoration, we are only one call away.